The word ‘awesome’ – a word of Biblical origin and medieval usage connoting an experience of wonderment with an element of dread* – lost its power once it became the common verbal currency for describing the offer of a beer, a photograph of a sulky cat, or a so-so pub band. 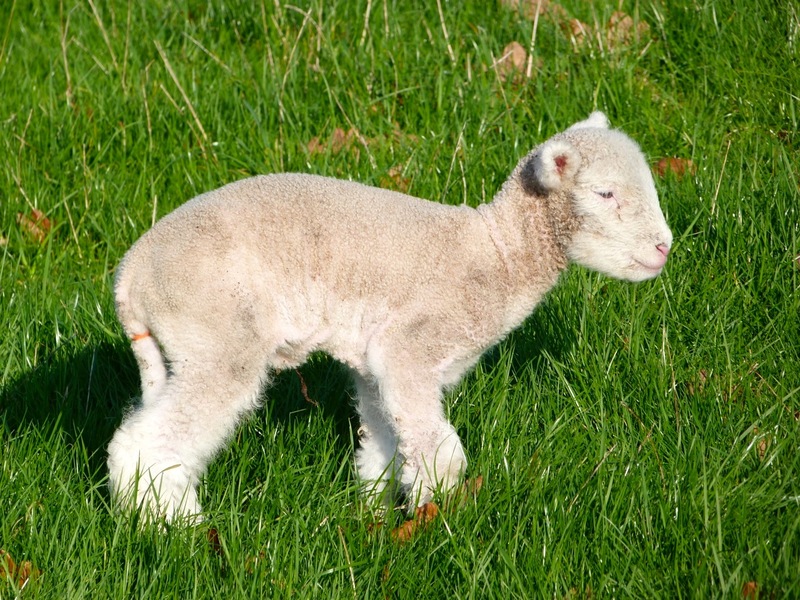 Where to turn for something truly momentous? Oh, actually that might do nicely. Breathtaking, astounding, astonishing, awe-inspiring, staggering, extraordinary, stupendous, and spectacular are examples of synonyms that have retained at least some of their power. And perhaps ‘mind-blowing’, though it’s a bit substance-tinged. ‘Amazing’ has pretty much gone the way of awesome. Amazeballs and badass? Let’s not! 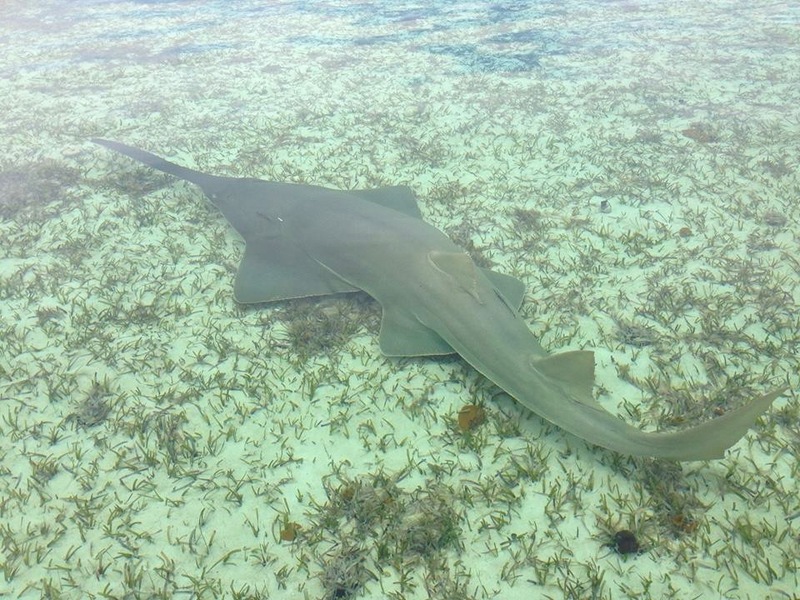 Ok. Having got that linguistic grump out of the way (index under ‘English Language, debasement of, modern usage in), here’s the real deal: a truly phenomenal short video of a smalltooth sawfish Pristis pectinata safely giving live birth in the wild to her 5 babies (which are called pups) on Andros during a FSU research trip. The pups emerge as small replicas of their parent, complete with their hedgetrimmer-style rostrums, ready to swim away. Fishes that carry their young and give birth to one or more developed juveniles in this way are called ovoviviparous. The commentary is clear and informative, the research potential for this vulnerable species is considerable, and if you have a soul and a spare 3 minutes, you really should watch this! * ‘Awful’ had the same meaning as awesome, historically – cf dreadful. It did not mean a bad film or a lousy restaurant. This recent photograph by Adam Rees of Scuba Works was taken in Florida waters. It is one of an astonishing school of 8 smalltooth sawfish, the largest group Adam has ever encountered. SAW FISH IN THE ABACO MARLS? NO SURPRISE. SAW A SAWFISH? AWESOME! Exactly a year ago, an extraordinary find was made out on the Abaco Marls. Almost disguised against the pale mud under the low water was the first sawfish reported for the Marls. 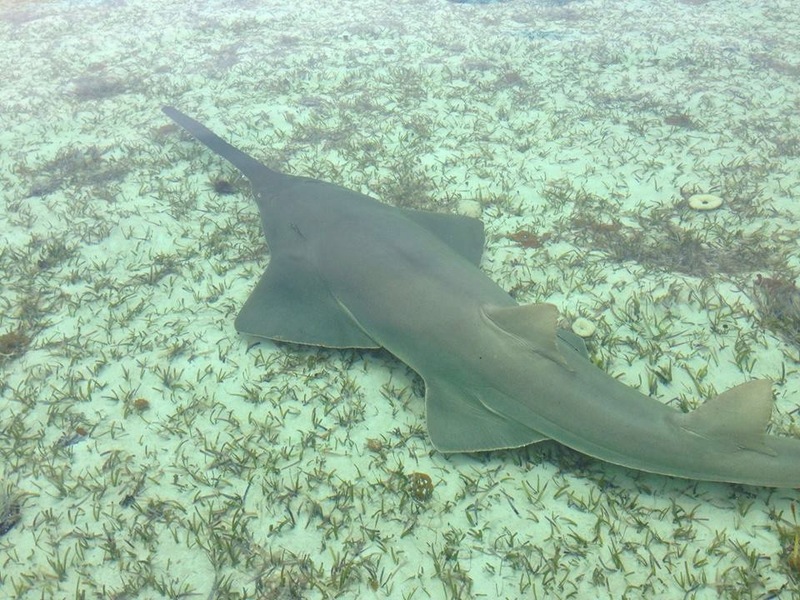 This fish is not merely a rarity in the Northern Bahamas: all species of sawfishes worldwide are IUCN listed as Endangered or Critically Endangered. Like sharks, their skeleton is made of cartilage and not bone. 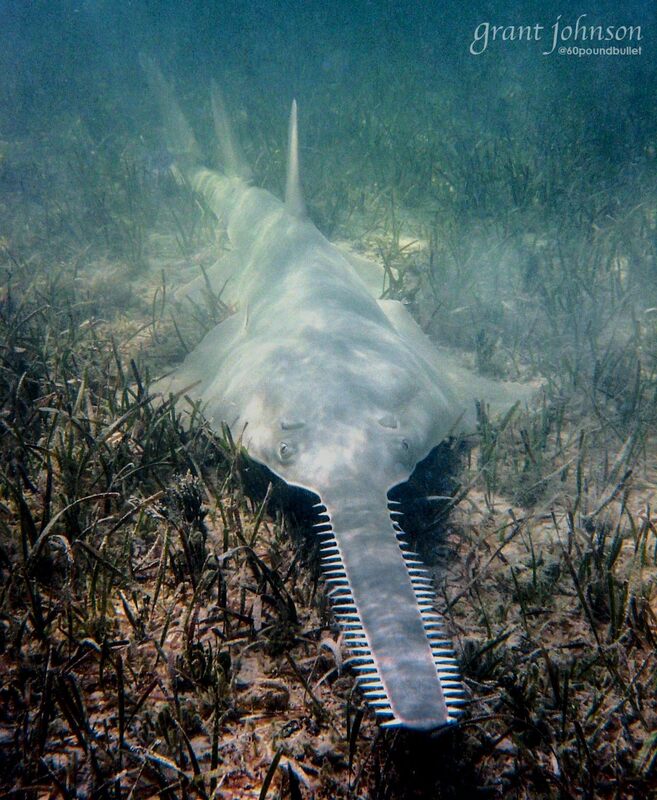 Other sawfish have been seen recently in the Northern Bahamas, though not in Abaco waters. 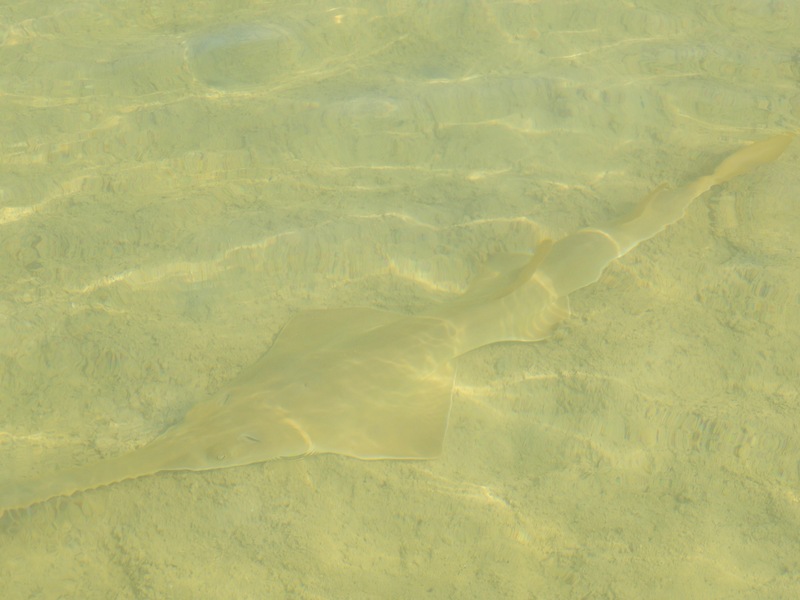 Last summer the Bahamas National Trust posted 2 great images of a Smalltooth Sawfish, saying “BNT was excited to receive these photographs of a Smalltooth Sawfish photographed in the proposed East Grand Bahama National Park – Bersus Cay Area. 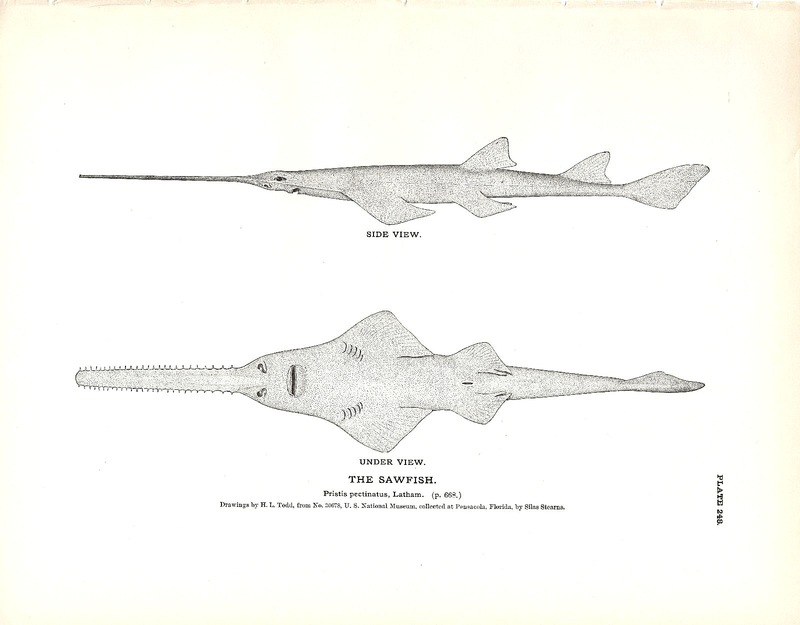 The sawfish was 12 to 13 feet long and was seen in water that was 2 -3 feet deep. 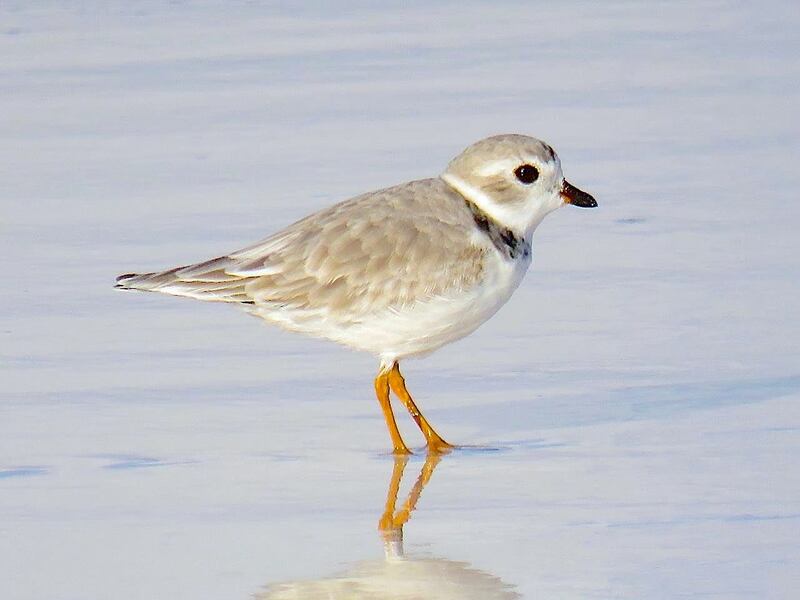 Thank you to Buzz Cox, Island Manager at Deep water Cay for sending us these photos”. 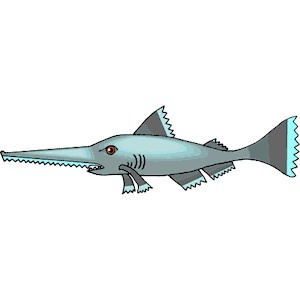 POPULATION DECLINE As noted above, Sawfish populations have declined to less than 10% of historical levels. The Smalltooth Sawfish – seen above – was once prolific in the Atlantic, Gulf of Mexico, Mediterranean, Black Sea and Indo-Pacific. 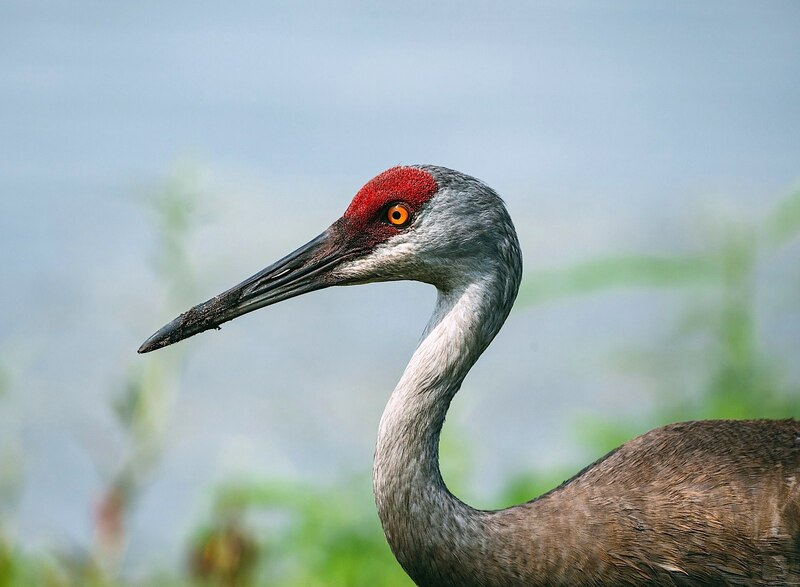 Population numbers of this species are now estimated at less than 5% to perhaps as low as 1% of their historic levels. THREAT TO SURVIVAL The threats to their existence are many: habitat loss, overfishing, accidental bycatch, rostrum souvenir hunters (good prices can be obtained), taking them for fins (as a delicacy) or oil from their liver (medicinal). LEGAL PROTECTION Capturing a sawfish is illegal in certain countries, including the United States. 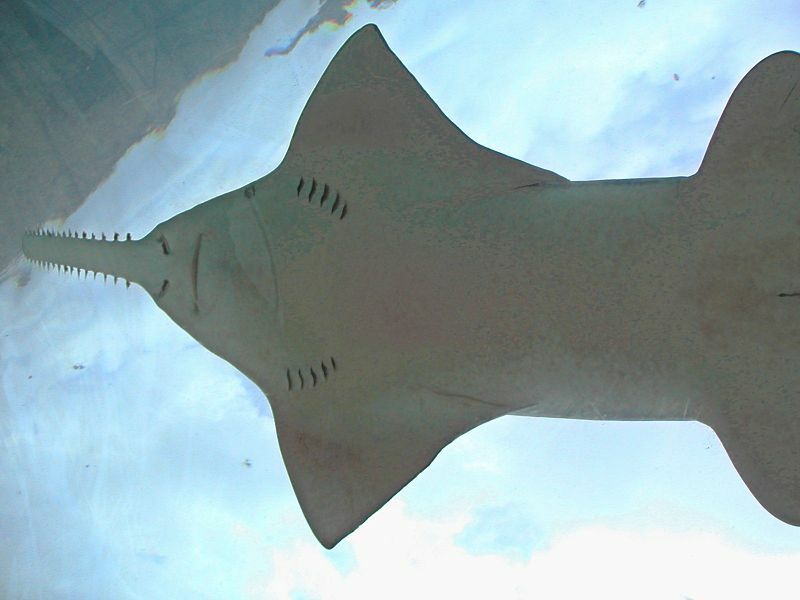 The sale of smalltooth sawfish rostra is prohibited in the United States under the Endangered Species Act. The import for sale of that of any sawfish species is also prohibited. The international trade of sawfish was banned by the CITES convention in June 2007. 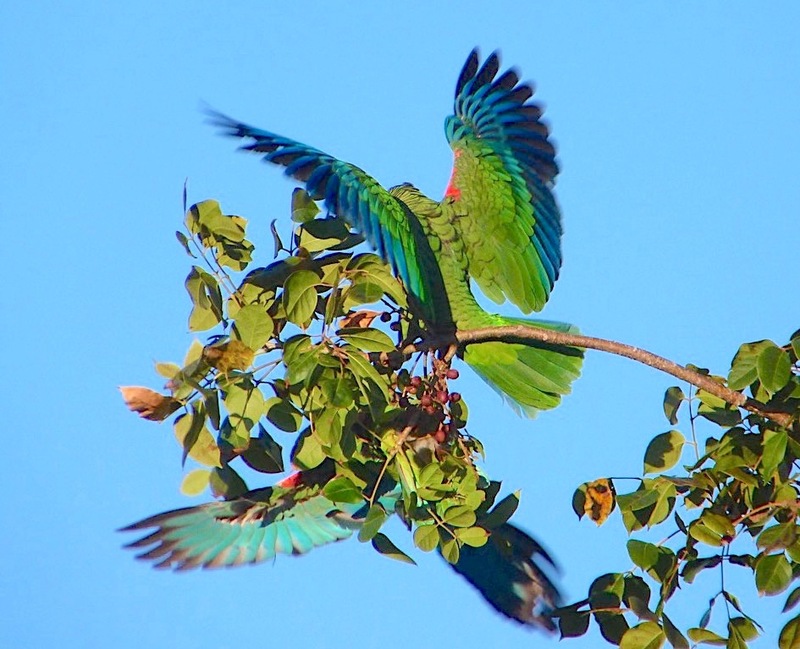 Time for some footage of these rare and wonderful creatures in the Bahamas. 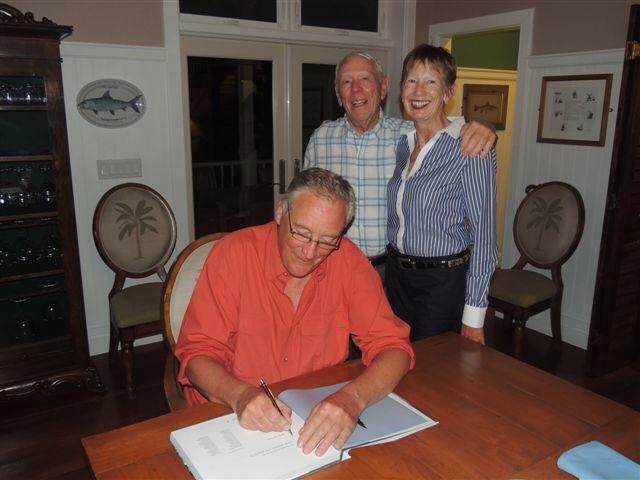 The first is from John Flanagan and was taken during a dive off Bimini in early 2014. 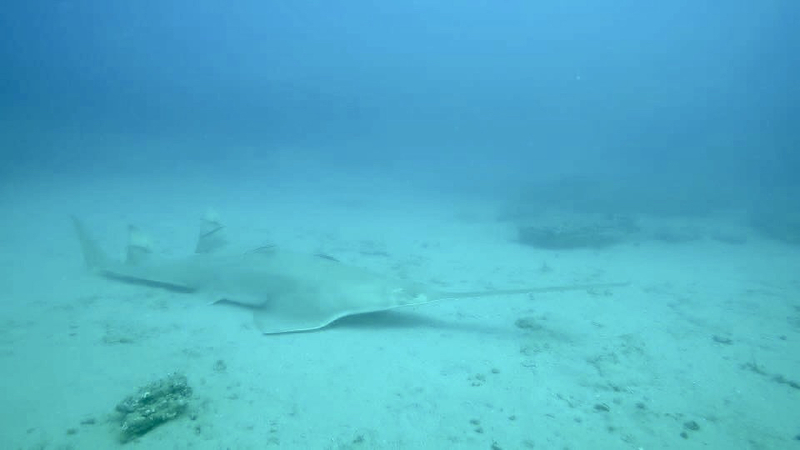 He was so surprised by the sight that he nearly forgot to turn on his camera to take a short video… The second is a longer 5 min video taken off Andros by Grant Johnson of “wild footage of the critically endangered Smalltooth Sawfish (Pristis pectinata). 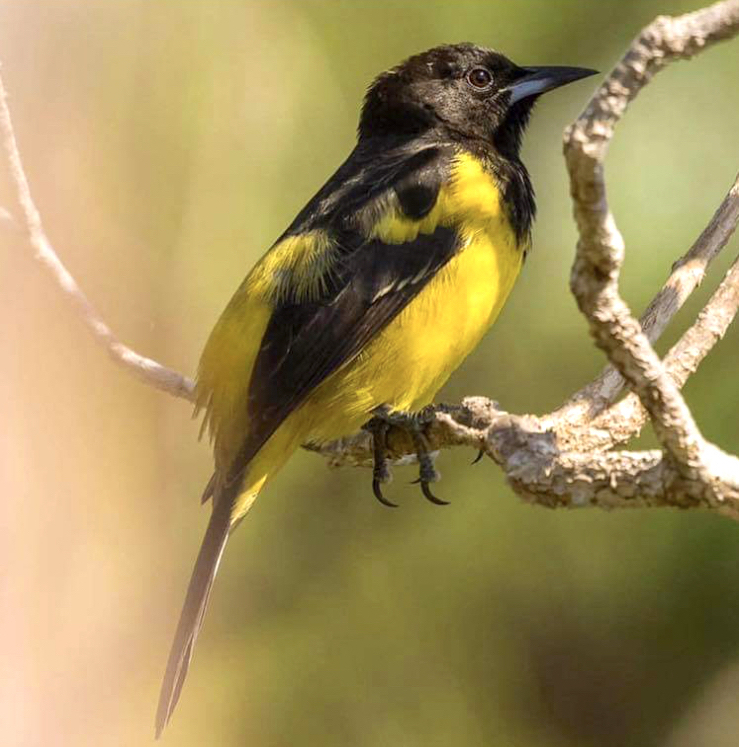 The west side of Andros, Bahamas is one of the last places on Earth that still provides vast refuge for this incredible animal”.